Presently, we observe that the market of mobile devices in general and tablet computers in particular is growing extremely rich. There are Apple products, such as iPhones and iPads, and a great variety of AndroidOS-based devices from HTC, Samsung, and a huge number of other manufacturers. In order to keep up with the times, many manufacturers of computers, laptops, and cellphones have nothing to do but to present tablet personal computers of their own. They come across a question - which operation system to use in their tablet computers. iPads from Apple Inc. employ the Apple’s patented iOS, the vast majority of Apple’s competitors on this particular market employ Android OS for their tablet PCs. 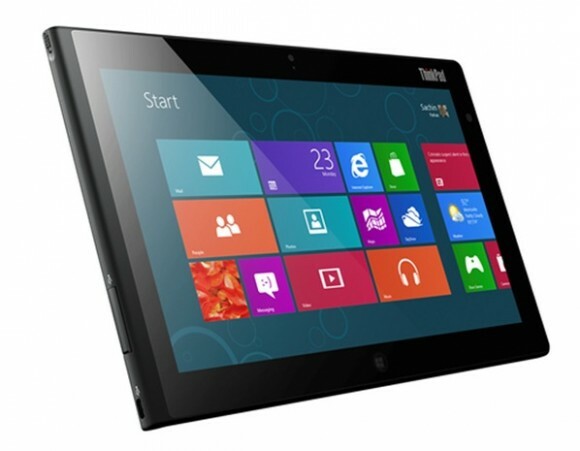 However, some of the manufacturers, for example, Lenovo, opt to use the Window 8 operation system from Microsoft for their tablet computers. Recently, Lenovo has announced the new tablet computer called ThinkPad 2. 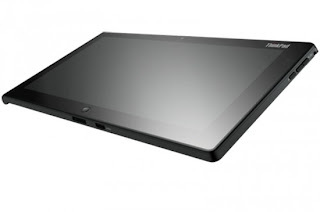 Let’s take a closer look at the technical specifications of Lenovo’s new tablet PC. This new device is quite thin: the thickness is only 9.8mm. The diagonal of the display is 10 inches and employs the IPS (in-pane switching) technology, and the supported screen resolution is as much as up to 1366 per 768 pixels. Quite naturally, there are two cameras: front and rear. The front camera is 2MP, and the rear camera is 8MP. Of course, there are ports: USB, Ethernet, and microHDMI. The battery of the new Lenovo ThinkPad 2 tablet computer runs for up to 10 hours without recharging. The new device supports both 3G and 4G. The new Lenovo ThinkPad 2 tablet computer also has some truly distinguishing features. The first one is the in-built stylus, and the second one is the fingerprint scanner. The announced release date of the new Lenovo ThinkPad 2 tablet computer is in October this year. However, Lenovo still keeps silence about the price of its new device, but this is a common practice and companies do have understandable reasons to hide such information. Meanwhile, you have some time to consider the technical specifications of the new Lenovo ThinkPad 2 tablet computer, and make up your mind upon whether you want a device of such kind or not.